As well as the egg hunt and tea there will be competitions including best Easter bonnet, decorated eggs, living gardens and egg rolling. 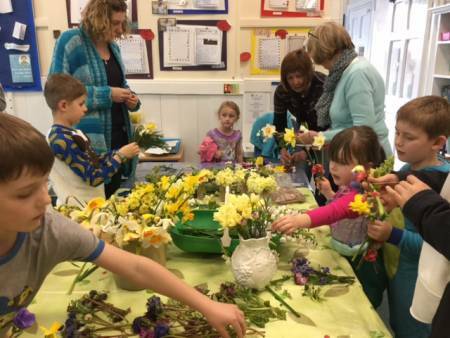 Children at Musbury School had a very enjoyable time making posies for the Mothering Sunday Service on 26 March. St Andrew’s Community cafe is supporting St Petrock’s charity for the homeless. There will be a talk at the cafe on Tuesday 28th March – do come!